These large black chandelier earrings with fancy openwork design are created from Swarovski pearls, glass beads and the soutache braid. 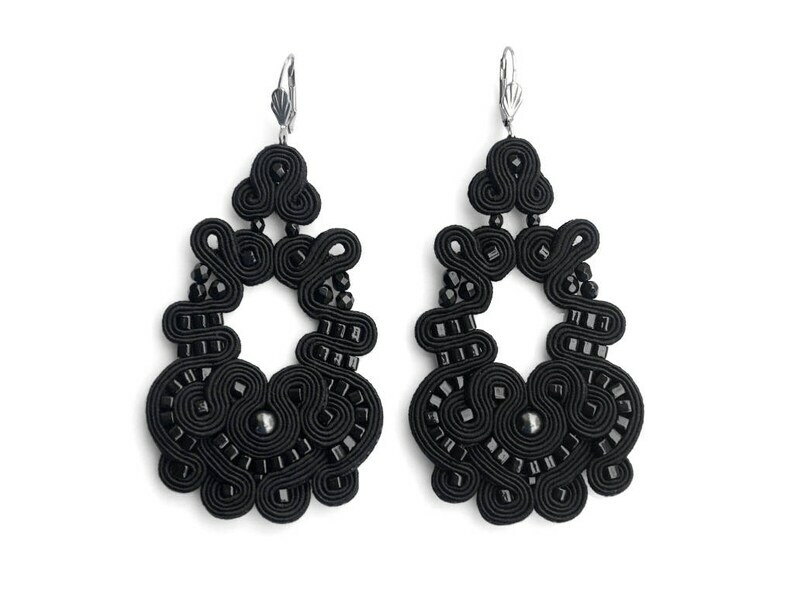 These earrings will boost up your look and make an irresistible impression. Despite the significant size, the earrings are ultra-lightweight, you'll forget you're wearing them.